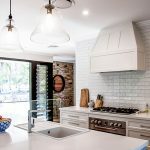 This ultra modern kitchen by Allou Interiors and Project Stone is a part of a full home renovation, with a team of expert designers and stone specialists behind its transformation. 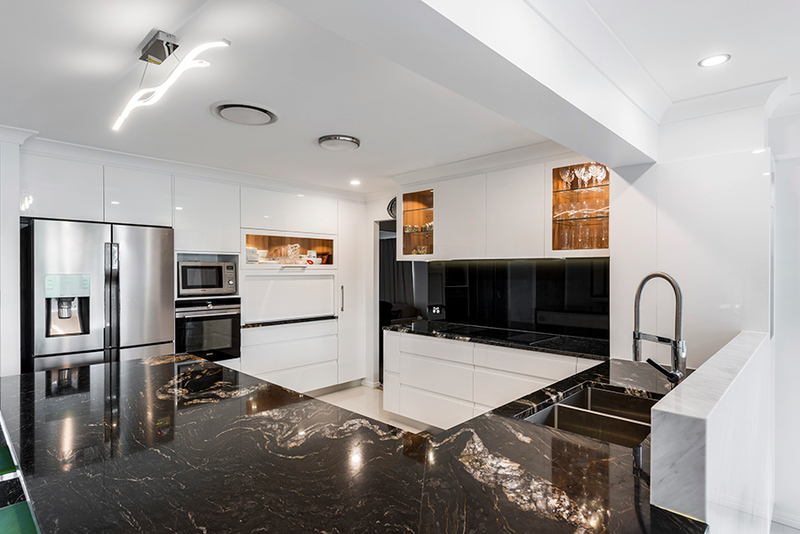 Allou Interiors worked closely with the homeowners on the final selections for creating this sleek kitchen design, with the Black Forest Gold granite bench top from Project Stone chosen to be the focus and feature. 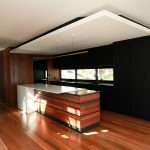 Overhead cupboards in Lamicolour Clear Aragon Walnut were a sleek choice, a clean backdrop to allow the showpiece marble benchtops to take centre stage. 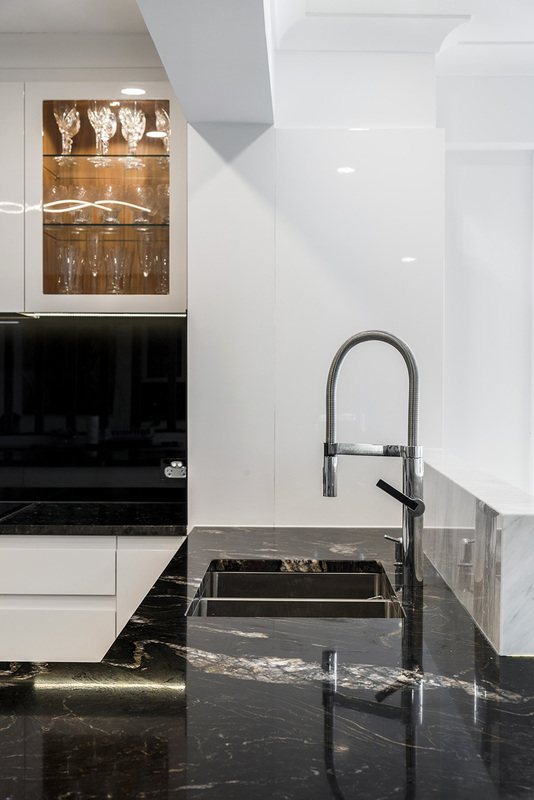 The glossy Vivid White 2pac cupboards provide contrast with the black toughened glass of the splashback and work perfectly with the 30mm Black Forest Gold granite, with its polished finish and rich gold and black marbled appearance. 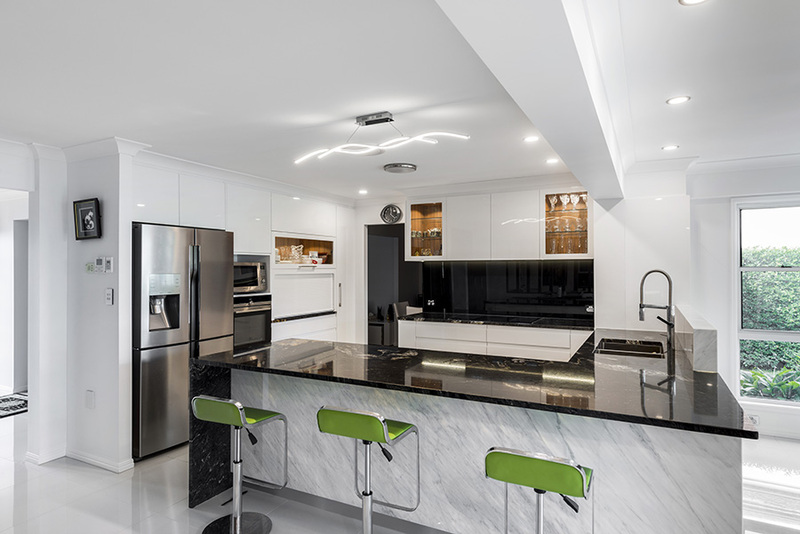 A backlit Carrara Marble was chosen by Allou Interiors, sourced through and installed by Project Stone, to the front of the kitchen island, which makes for a stunning feature at night, with a translucent glow offering soft illumination to the kitchen living areas. 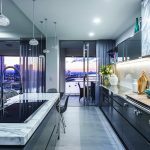 It’s a standout feature, complemented by the warmth of the timber accents in the display cabinets and custom screen which transitions the kitchen and living zones. 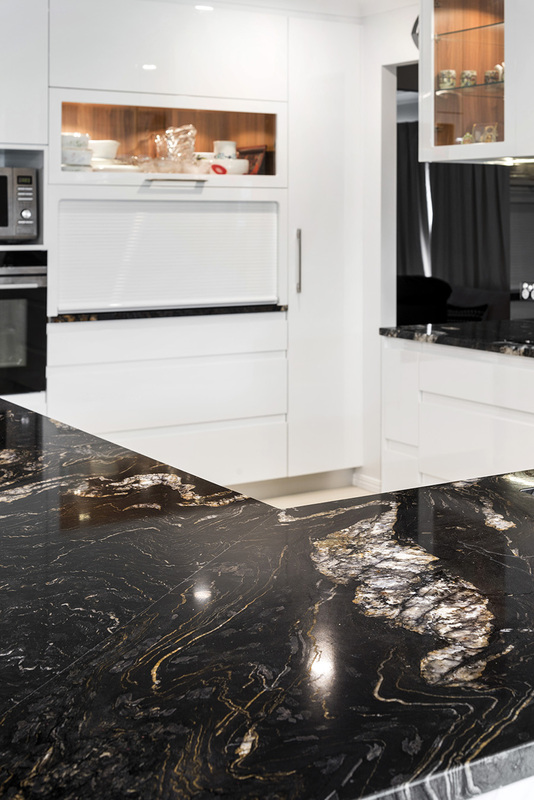 Project Stone display one of Queensland’s largest ranges of stone surfaces, including Basalt, Granite Limestone, Onyx, and Travertine as well as engineered stone such as Trendstone Quartz. 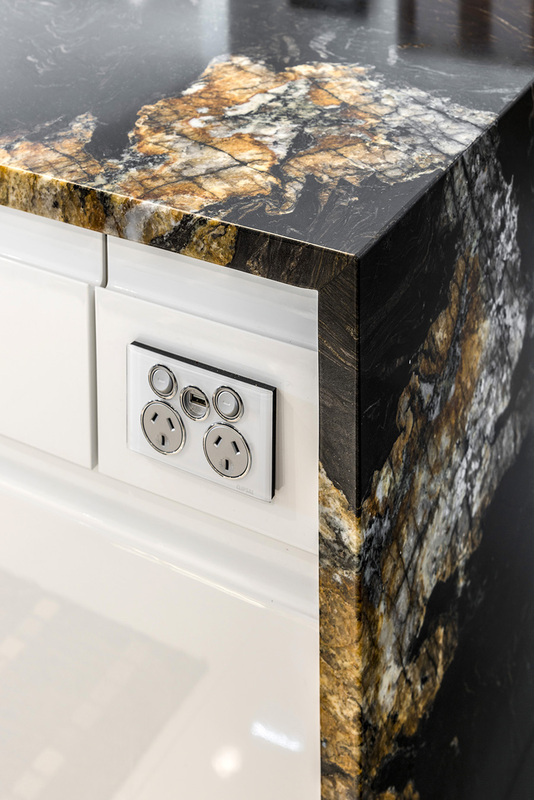 Negotiating which option is best for you is taken care of too as their staff can guide what will work best for you. 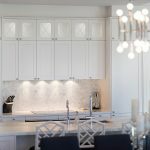 Using the advice from Allou Interiors and the knowledgeable staff from Project Stone the owners of this stunning home have a kitchen which will retain its good looks and style for many years to come.